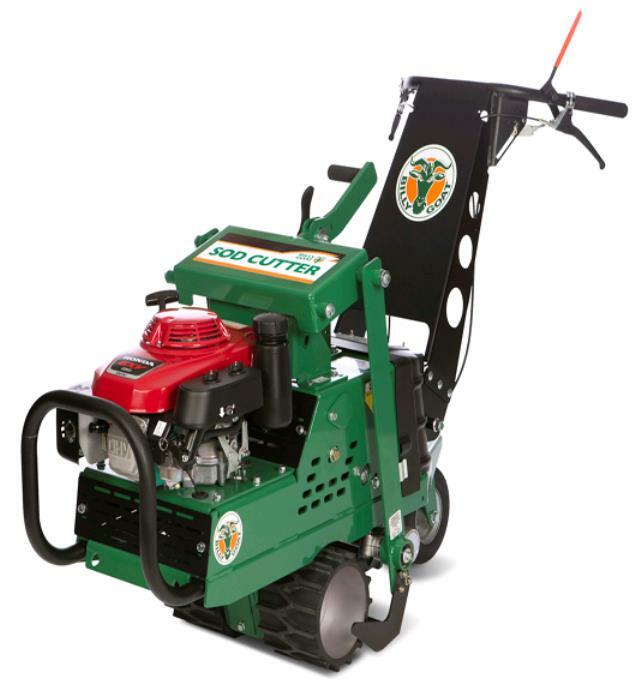 Cut turf easily with straight or curved edges in 18" widths and adjustable depth to 2.5". Adjustable ground speed control thru hydro drive including reverse mode. OVERALL SIZE: W: 24" L: 54" H: 34"
* Please call us for any questions on our sod cutter 18 inch billy goat hydro drive rentals in Portland OR, Gresham OR, Milwaukee OR, and surrounding metro area.